Want To Attend A Concert? The Orpheus Club of Philadelphia performs for those who join us as “Associate Members”. Request an application to join us as a member today. Welcome to our 146th season of great music, hearty laughter and good friends! Our three formal concerts will make special evenings for all, delivering festive performances with a touch of Old Philadelphia grace and charm. Under the leadership of John Shankweiler, we are proud to offer new music and a continual influx of young, talented singers, blended with the songs and performers that are Orpheus favorites. Details about the concert will be coming soon. Of course, we will treat you to a reprise of memorable numbers from this year’s marvelous Revels show. Tickets to our concerts are not sold individually but are included, along with other benefits, in Orpheus Club membership. 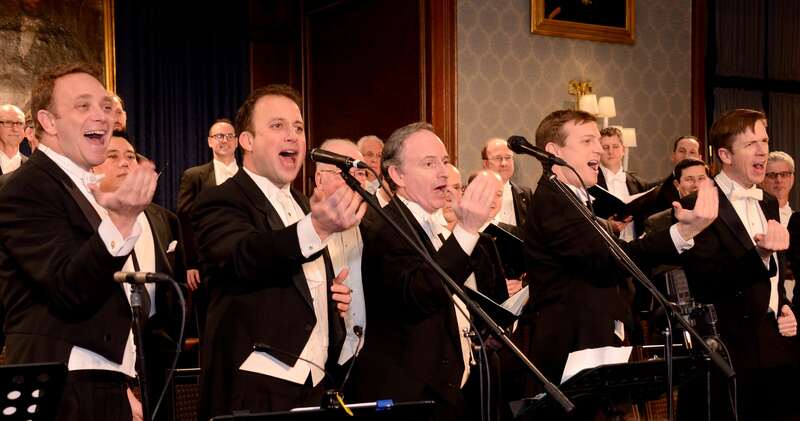 The Orpheus Club returned to the Union League this winter for a two-night stint in their Lincoln Hall. If you attended the show, we would appreciate hearing about your concert experience. Click on the button below to fill out a feedback form. The Orpheus Club email newsletter produced on a monthly(ish) basis while the club is in season October through May. Our “Songs of the Sea” Bermuda Cruise sets sail July 7, 2019 aboard Celebrity’s “Summit”. You are invited to join us on a 7 day cruise to Bermuda! Guests will enjoy a private cocktail party every night at sea while being entertained by singing members of the Orpheus Club. You will also be invited to a private party in Bermuda, and a performance in Kinds Wharf for an additional fee. For Singing Members, our clubhouse is a place where we gather on Mondays to rehearse music. However, Associate Members have occasion to visit the clubhouse multiple times a year. From our pre-concert dinners to our after-concert parties, the clubhouse is the center of life for the Orpheus Club. 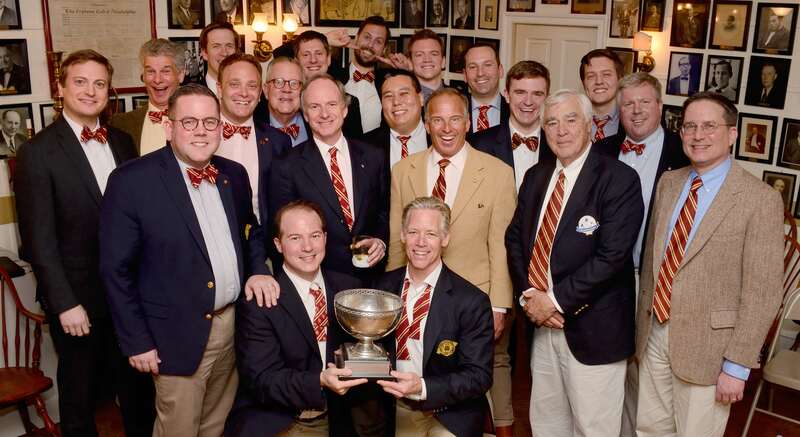 Founded in 1872, the Orpheus Club of Philadelphia is one of the longest-standing, independent, male choral societies in America. For nearly a century and a half, the Club has been a prominent fixture in the social and cultural life of the city of Philadelphia. The Singing Membership consists of approximately eighty active members ranging in age from recent college graduates to men in their eighties and beyond. The Club gives three formal concerts each year for its Associate Members and their guests in major Philadelphia venues, such as Verizon Hall at the Kimmel Center for the Performing Arts, the Academy of Music, and Lincoln Hall in the Union League of Philadelphia. Our repertoire spans classical, jazz and pop, with the Club often debuting new arrangements commissioned for its use. For four weeks each winter, at the Club’s colorful center city house, a select group of Singing Members presents to Singing and Associate Members, an all-original musical satire, the “Twelfth Night Revels”, featuring popular songs specially arranged, comic skits, a loose plot, and elaborate costumes. Proud of its history, the Orpheus Club continues to thrive and looks eagerly ahead to a bright future.